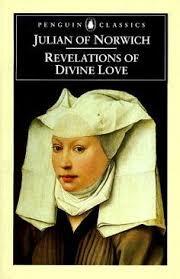 ​Celebrate living and experience the wisdom of Lady Julian of Norwich. This fourteenth century mystic, whose times were as troubled as our own, offers encouragement, hope and transformation through Love. Julian's direct, powerful revelations when she was at the point of death, give insight into the divinity within us and how we can draw closer to that higher self through contemplative prayer and self awareness. ​The day offers time for reflection and play with Julian's words to discover more about ourselves; contemplation and meditation to experience love and peace; mindfulness and gentle movement to experience her wisdom in quiet and with music. reflection as well as sharing within the group. We will be using her words of encouragement as antidotes ​to fear and criticism to discover how gently we can change mind and heart, bringing hope, light and peace to our lives. Having experienced the benefit of using her words in all types of situations for many years, I would love to share her truth with you. Everyone will be given their own folder of Julian's wisdom. Julian was reassured of how much we are loved, and she shows us the way in which divine love works within us constantly enfolding, recreating, keeping us in weal (happiness) and woe.